The English weather can be so unpredictable, therefore the comfort of the office, your favourite store, your home or restaurant can be a safe haven. However, without efficient air conditioning installed in these premises, the indoor temperatures can prove uncomfortable. Restaurants and cafes often have a particularly difficult time keeping a constant temperature to ensure the comfort of their customers. This is due to high levels of heat coming from the kitchens versus cool or hot air coming from outside. The last thing you want is a customer complaint due to your restaurant being too hot for them to enjoy their tasty meal! 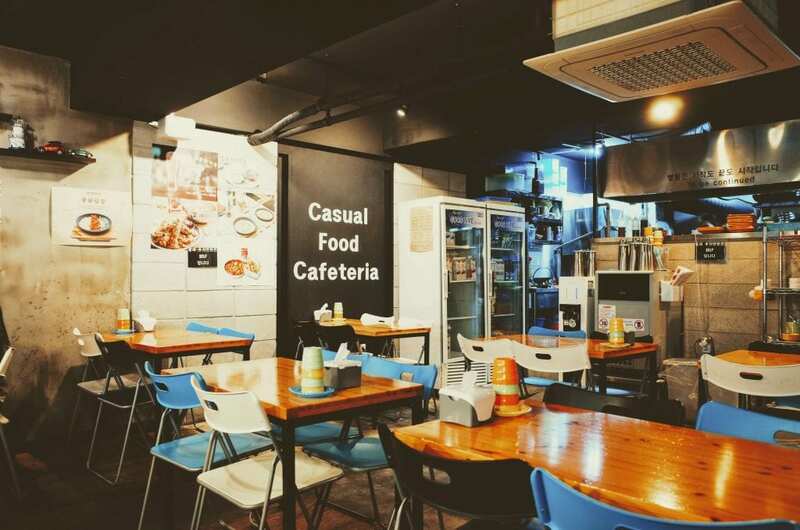 At Cooling Energy Services, we have helped many local restaurants find suitable air conditioning systems for their premise which help regulate temperatures and create an optimal environment for their customers. There are many air conditioning brands and models available to clients which all serve slightly different purposes and sized rooms. In a restaurant environment, we would always recommend quieter units so they minimise interference with customer conversations, serving and the general atmosphere. For small to medium-sized restaurants, we recommend the use of multiple lower-powered units placed around the room rather than having a few more-powerful units. This will make sure there is an even distribution of air around the room. We regularly use wall mounted unit as these can be easily fitted and are out of direct eye line. When finding an air conditioning solution for larger restaurants, we often use ceiling mounted ‘cassette’ units. Although a more costly solution, they are more aesthetically pleasing and provide a 4 way air flow. This makes the dining experience for customers much more comfortable and the units tend to be more discreet. If you already have air conditioning installed in your restaurant, we highly advise organising regular maintenance. On a typical air conditioning maintenance visit, the engineer will clean the units, check the filters, ensure there are no issues that may impact the level of airflow and leave it working optimally. Regular maintenance will help avoid larger issues which may be costly to repair and avoid any unnecessary downtime for your units. Especially during the height of summer! Our expert air conditioning engineers are on call 24/7, so if you have any unexpected issues we’ll be there to help. Cooling Energy Services are experts in air conditioning installations in Bournemouth and Southampton. Our expert team can find a suitable and cost-effective solution for your restaurant or cafe which will provide a comfortable environment for your staff and customers. To book your free Bournemouth air conditioning inspection visit, please call us on 01202 937550 or email us at sales@ces-airconditioning.co.uk.